MOSCOW, September 15. /TASS/. Russia’s Central Bank considers it necessary to pursue a tougher monetary policy to limit the effect of the VAT (value-added tax) increase and keep inflation at the level of around 4%. "The decline of annual inflation will be slower during the year due to the effect of the VAT increase. As of end-2019, it will stand at 5,0-5.5%. 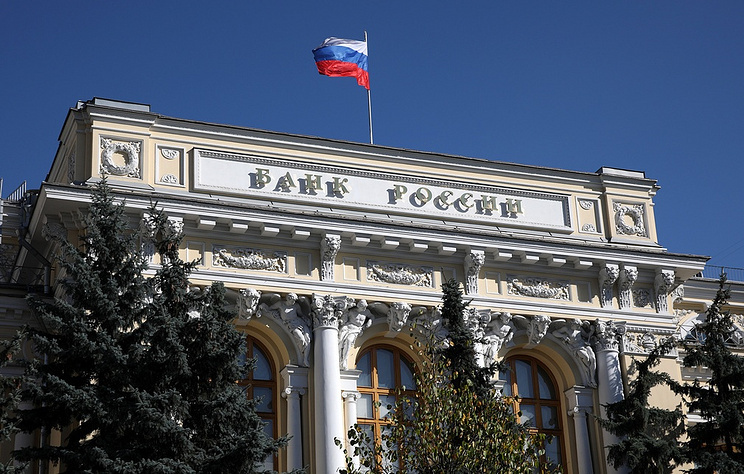 In order to limit the scale and duration of secondary effects of the VAT increase and forex volatility and keep inflation stable at around 4% in the mid-term, the Bank of Russia will have to pursue a tougher monetary policy than expected earlier," the regulator said in a report. Meanwhile, the Central Bank believes that the demand dynamics in 2019 will not be putting upward pressure on inflation, whereas a number of factors will have a slight restraining influence on the growth of domestic demand during the year, mainly in its first half. Those factors include the VAT increase, a slowdown of export revenue growth in the economy as a result of a gradual decline of oil prices, as well as a certain slowdown of lending growth amid persisting tough monetary policy of the Bank of Russia and revised market expectations regarding the rate of the shift to the neutral policy. The restraining influence of the VAT increase on the investment activity in Russia will turn out more short-term and will be offset by the growth of investment demand from the side of public sector already in 2019, the regulator noted. As a result, the annual rate of gross fixed capital formation growth will be higher in 2019 than in 2018, and is expected to be 2.3-2.8%, the Bank of Russia suggests.